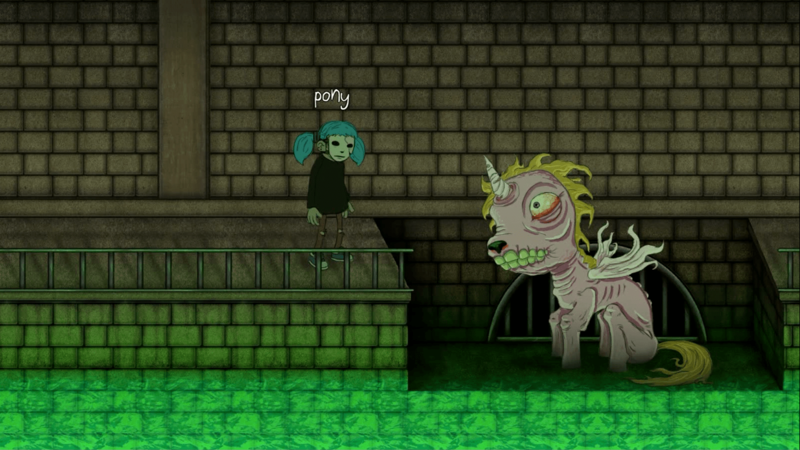 Solo indie developer, Steve Gabry of Portable Moose planted the seeds of a dark mystery in his warped adventure game, Sally Face. With the second of five episodes freshly released, let’s take a look at what we know and what we think we know about our prosthetic faced protagonist. This article will contain spoilers (for the first 2 episodes) and unsubstantiated theories, consider yourself warned. For those who need a brief refresher, or anyone completely in the dark, Sally Face is an episodic adventure game culled from the depths of Indiegogo. 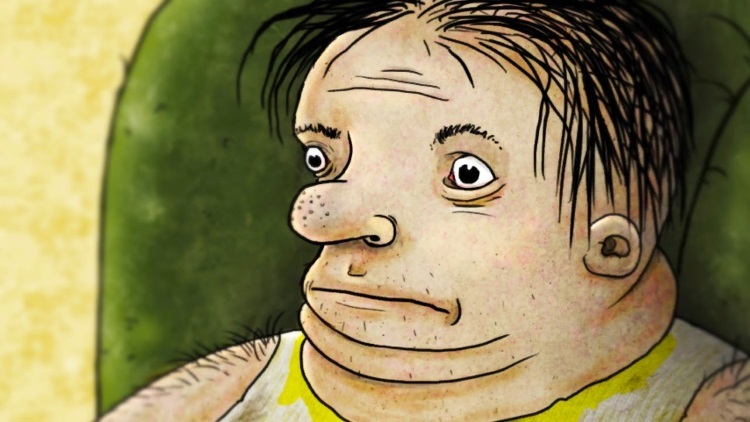 It features a slightly off-kilter 2D animated art style reminiscent of The Ren and Stimpy Show from the early 90s. Particularly in its use of detailed gruesome character close-ups. While the Indiegogo campaign never reached its $15,000 funding goal, thanks to the platform’s flexible funding option, Gabry was able to develop and release Sally Face Episode One last year. From there YouTube’s content creators picked up on the game and it slowly amassed a small, but loyal following among gamers. 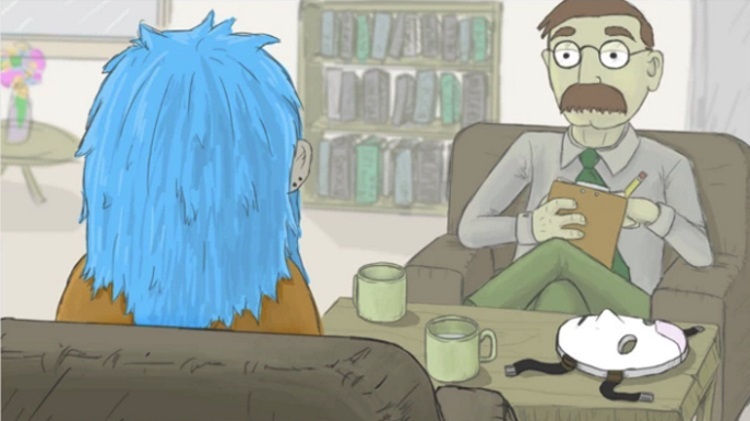 Episode one: Strange Neighbors introduces our blue-haired pig-tailed protagonist, 15 year old Sal Fisher. After an undisclosed traumatic incident Sal wears a slightly disturbing face prosthetic. He and his father Henry move into a new apartment looking for a fresh start following the death of Sal’s mother. From here players take on the role of Sal through a mixture of dream sequences, flash backs, and flash forwards as his story unfolds. 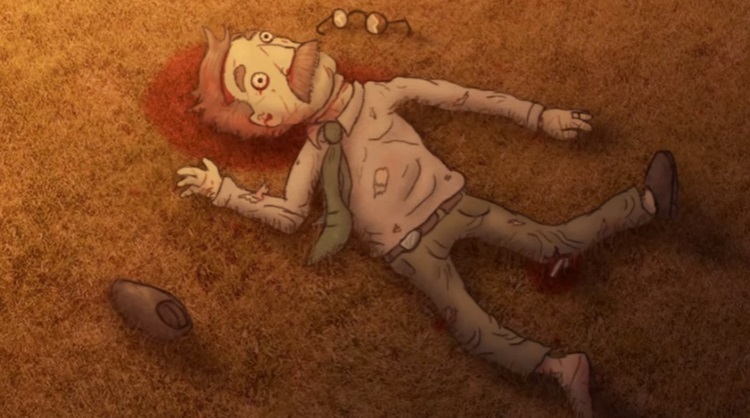 The first episode centers on Sally Face and his friend Larry investigating a murder committed in apartment 403. This part of the story is book-ended by flashes to the present where Sal is discussing his troubled past with his therapist, Dr. Enon. This includes telling the doctor about his dreams of waking up in the hospital and finding his mother’s dead body. Yeah, if you were still holding out hope for lighthearted humor, you can go ahead and squash that now. Things in Sal’s world are dark, not just for him, but for seemingly everyone in the Addison Apartment building. At the conclusion of Episode One, the police have arrested the tenet of room 204, Charley for the murder. With Larry’s help, Sal was able to deliver evidence of Charley’s guilt. Before the police leave, Sal peeks into the coroner’s van and sees the mutilated corpse of the murder victim, Mrs. Sanderson. Back in the present we learn that Charley was eventually released with the police believing Sal had falsely accused him all those years ago. We also learn that Sal is currently incarcerated and awaiting trial for murder. 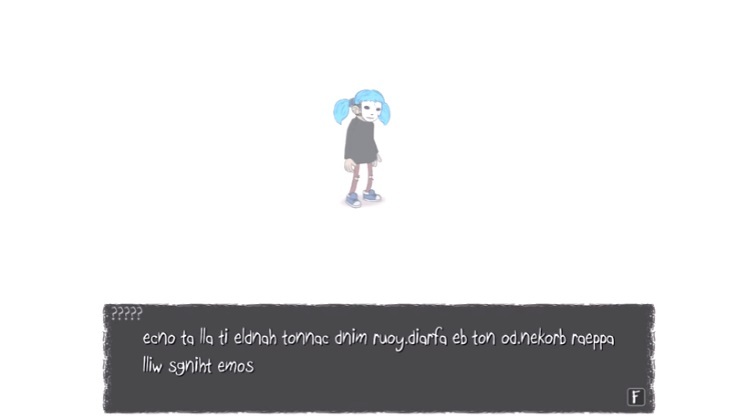 Sally Face Episode two: The Wretched again opens with one of Sal’s nightmares. A younger, possibly mask-less version of Sal is enjoying a picnic with his mother in a field. Sal wants to go pet a dog he hears nearby and after some persuasion his mother agrees to accompany him. He goes to wait for her by some trees and suddenly finds himself transported to a parking lot. His face is now bleeding profusely and he stumbles past his mothers overturned purse and an abandoned dog collar. This has lead to the popular theory that his prosthetic is the result of a dog attack. Sal enters a bloody ambulance transporting the player back to the day of Mrs. Sanderson’s murder. The dream ends with Sal encountering a supremely creepy version of Charley. The accused murderer’s face unzips to reveal a horrific skeleton underneath. Also, this thing exists. Sweet dream. The next day Sal is telling Larry about his nightmares and his belief that ghosts inhabit the apartment building. Larry is skeptical, but takes Sal outside to his tree house. Here Larry tells Sal that he’s seen a demon in the building and believes it has cursed him. Sal offers to look for clues to help lift Larry’s curse kicking off the main objective for the episode. This is also where the story takes a more supernatural spin as one of our first stops is to go visit a ghost Sal had befriended. When the ghost won’t appear, Sal goes to visit Todd in apartment 202. 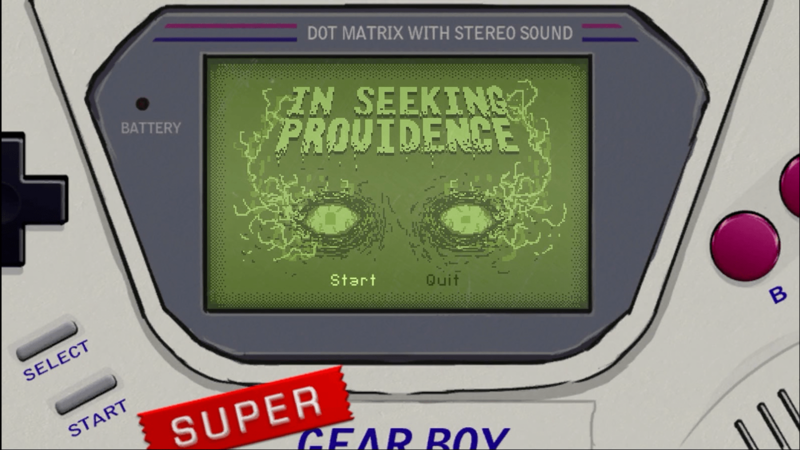 The tech savvy teen modifies Sal’s Super Gear Boy game system to detect supernatural forces. From here players explore the building, identifying paranormal hot spots and talking to ghosts. Sal also gains access to a peculiar new Gear Boy game, In Seeking Providence. 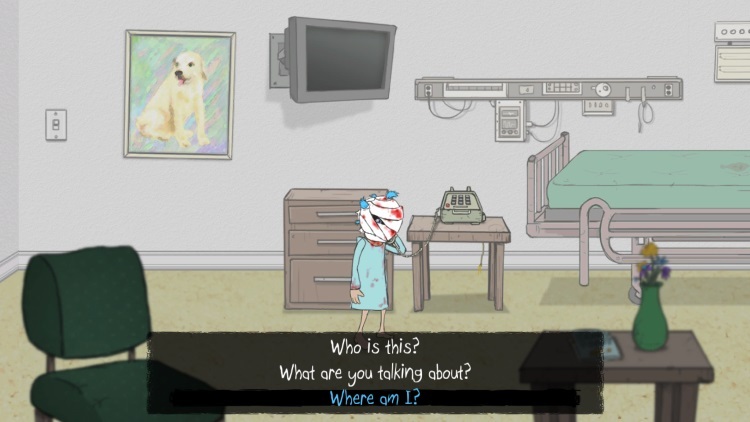 The game has 8 chapters which unlock out-of-order as Sal encounters more supernatural entities. Each chapter unveils more of the history of the Addison Apartments, including the deaths of all the ghosts contained therein. A few key points to take away from this episode; the demonic presence was summoned to the building by a strange cult. Many of the older tenets, including Larry’s father seemed to be involved with the cult in some capacity. Charley is shown to have been possessed by the demon when he attacked and killed Mrs. Sanderson. This gives credence to the idea that he was found innocent despite the evidence Sal presented against him. It also opens up the possibility that Sal was possessed at some point leading up to his arrest for murder. The developer has openly hinted that while the main story path requires “casual effort” there are additional mysteries available for ambitious players. One such mystery is solving a broken puzzle box left behind by Larry’s father. After players recover the missing piece of the box (in David’s apartment) they can decipher the code with help from one of the Gear Boy levels. With a little more help from Todd, Sal is able unlock an extra scene and acquire a Rubik’s cube. As the episode wraps up we once again flash forward to our final therapy session with Dr. Enon. Sal’s murder trial is about to start and Dr. Enon is disappointed that he hasn’t revealed anything to aid the defense. As he’s being lead from the room, Sal begs the doctor to visit Larry’s tree house. Sal insists the doctor will find the proof he needs there. Compelled by Sal’s pleas, Dr. Enon drives out to the decrepit apartment building and climbs up to the tree house. Just as the doctor grows frustrated over not finding anything helpful a ghost appears. Larry’s ghost tells the doctor that he needs to get Sal out of jail and bring him to the tree house, stating that things go deeper than the boys expected. Unfortunately Dr. Enon is so surprised that he falls from the tree house, breaking his neck. So now that we realize that Sal is likely innocent the only person who might have been able to help is dead. Damn. The episode ends, leaving players with a whole new host of questions about this peculiar game. Gabry has said that he doesn’t expect episode three to take as long to complete as the second one. Currently, he’s planning to release the next part either late in 2017 or early 2018. You can pick up the Sally Face season pass on Steam, itch.io, and GameJolt. This will give you access to each episode as it is released so you can discover more secrets on your own. Joanna Mueller is a lifelong gamer who used to insist on having the Super Mario Bros manual read to her as a bedtime story. Now she's reading Fortnite books to her own kiddo while finally making use of her degree to write about games as Cliqist's EIC.